1. Mix all the ingredients (boiled potato, carrot, beans, cauliflower, salt, red chilli powder, coriander leaves, Mixed spices ,mango powder (amchur), and lemon juice) with one cup oats. 2. Mash them together and prepare a mixture for cutlets. 3. Flatten each ball and shape it into shape. 5. 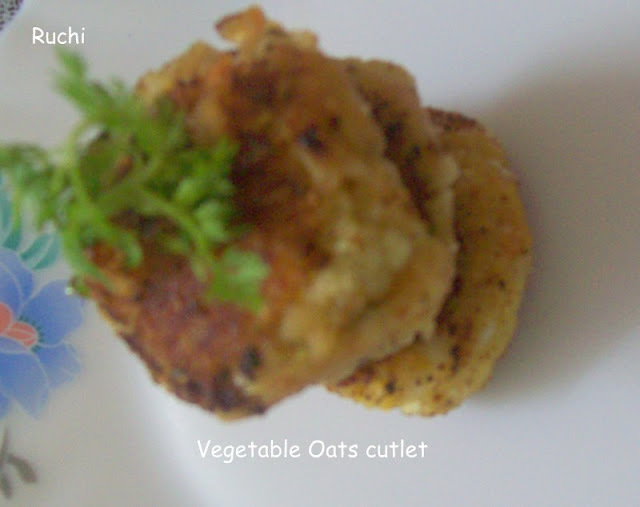 Heat 2 tbsp of oil in a frying pan and shallow fry these cutlets on medium heat until they are golden brown and crispy. 6. Serve hot with ketchup or chutney. 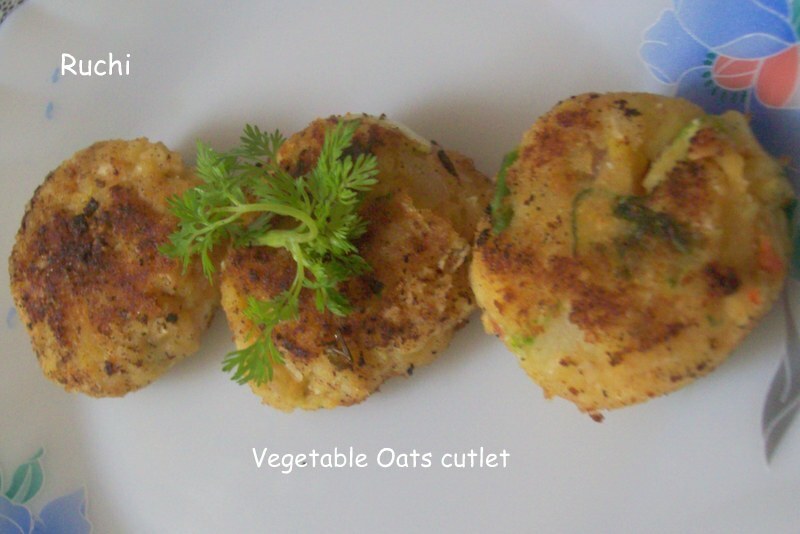 Healthy and delicious cutlet, excellent snack.